Why are there 6 guys in GTLO, when there were only 4 guys in Led Zeppelin? 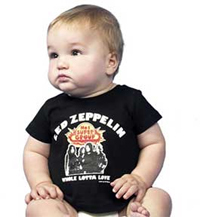 GTLO's mission is to bring the studio recordings of Led Zeppelin to life in concert. In the studio, Led Zeppelin layered many guitars, vocals, keyboards, and various other instruments in a process known as "overdubbing." Quite simply, it's physically impossible for only 4 people to recreate those amazing recordings in a live performance. Zeppelin themselves never attempted replicating their recorded work in concert, as it would have required hiring additional musicians, and they just weren't about that. Get The Led Out however, is ALL about that! With an "all hands on deck" approach, GTLO in some cases will call upon members of their crew, management team, and of course the lovely Diana DeSantis in an effort to bring you the songs of Led Zeppelin just the way you remember them! When are you guys coming to Texas? Many people want to know when GTLO will be performing in their city or state (or country). Contrary to popular belief, the band doesn't sit around with a map and a dartboard putting together their tour schedule. A venue/promoter hires GTLO because they feel it is a concert that people would be interested in. As a fan, your voice is power. Letting a venue know that you would like to attend a GTLO concert at their establishment is the single most effective way to make this happen. This approach has been, and continues to be responsible for countless debut and return performances. Power to the people! What is that instrument that Paul Hammond plays in "Whole Lotta Love" where he's waving his hands around an antenna? 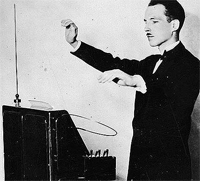 This unique instrument is called a Theremin and dates back to 1919. It was used on the original 1969 recording of "Whole Lotta Love", and became a psychedelic staple in Zeppelin's extended live version of the song. 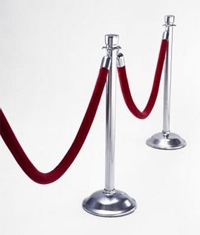 Do you have an opening band at your shows? My cousin has a bitchin' group that would love to open for you guys! GTLO is about ALL Zeppelin, ALL the time! While we appreciate all different kinds of music, and of course our fellow musicians out there performing it, our first priority and commitment is to the fans of Led Zeppelin. Due to the time constraints imposed by the venues and local law enforcement, forty minutes devoted to an opening band, would mean forty LESS minutes of Led Zeppelin. I've seen other Zeppelin "tribute" shows. Why should I check out GTLO? 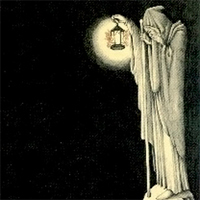 There are many acts out there performing the music of Led Zeppelin. Most are impersonator groups that mimic Zeppelin's live performances with the extended, improvisational versions of the songs. Others do a combination of this, and their own versions. In our humble opinion, Zeppelin's mythic status is mostly based on the overwhelming impact of their iconic studio recordings, and the public's insatiable desire to re-live, and re-experience those musical masterpieces over and over. Get The Led Out is the only act out there devoted to painstakingly recreating the songs in all their depth and glory. The GTLO concert experience is designed for those that want to play air guitar, air drums, air keyboards, and sing along all night to the greatest rock music ever made! Why doesn't the singer dye his hair blonde? GTLO is not an impersonator act. It's all about the music! Besides, we would have to get three dragon suits made! Don't tempt us! We have worked out all ten minutes and eight seconds of the full studio version and won't hesitate to use it if pushed! Can I bring my kids to a GTLO show? GTLO began in the fall of 2003. The group went through some changes in the early years, but soon became the band you know today. Is the setlist the same at each show? GTLO takes a lot of pride in keeping the show fresh for the fans. 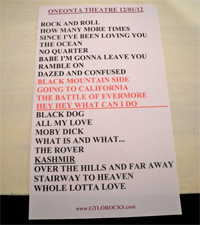 Paul Sinclair has a database with every setlist ever performed, and makes sure to vary the set on a return (as well as from night to night). We are fortunate that with Zeppelin's vast catalog of hit after hit, we can change the show each night by a number of songs... and they are all epic! How long is your concert? Do you guys play "Achilles?" 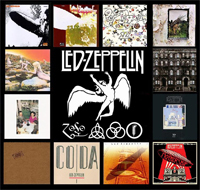 GTLO does the majority of the Zep catalog (including "Achilles"). 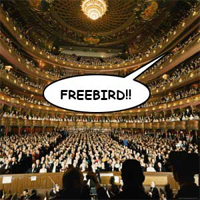 However, with the limitations of a reasonable concert length, we can't play them all each night. Though herein lies the beauty. If there is a particular song you are hoping to hear, it's just a matter of time!